We've had four weeks to wait for Formula One to make its return, and worse than that, just one race in the last seven weeks - but never fear. The second half of the season is packed to the rafters with nine races in just a few short months. 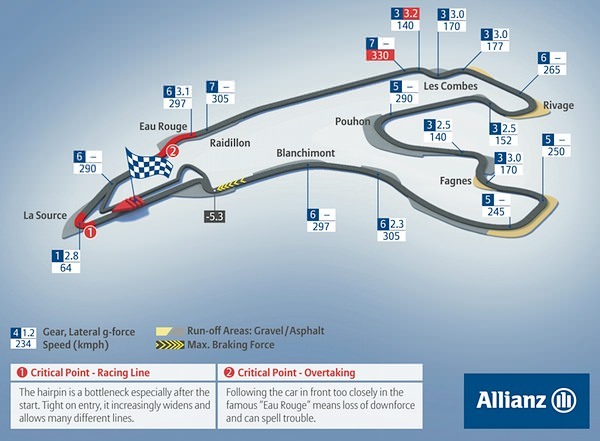 Blink and you'll miss it as the season unfolds from here - starting with the supremely popular Belgian race at the challenging Circuit de Spa-Francorchamps. With Sebastian Vettel scampering away at the top of the driver's table, and Red Bull proudly boasting the top spot in the team standings, this year is very similar to those that have gone before, and the smart money has to be on a fourth consecutive championship for both. That doesn't mean it's going to be made easy for them, as the other teams get to grips with the tyres once more and start fighting back. We've seen small progress from McLaren, who have a mountain bigger than Eau Rouge to climb. We've seen Williams scoop their first championship point of the season, with more on the wish list. We've also seen Mercedes dominate where they were not expected to. This weekend's racing in Spa could hold all manner of other surprises. Support racing for this event includes GP2, GP3 and Porsche Mobil 1 Supercup. Spa is well known for its downpours, and it looks like we're not going to escape the inclement conditions this weekend. The rain appears to be moving forward for the weekend, as when I checked a couple of days ago, the rain was forecast for Sunday, and now it has crept into Saturday as well. Friday, for now, looks set to be dry if cloudy. In 2012, there was just the one single DRS zone around the Spa circuit, with the detection before Eau Rouge, and activation coming at the top of the hill. The brand new second zone is set to be detected just before the final corner, with activation coming down the start/finish straight. That particularly stretch of track is barely long enough to make any kind of overtaking difference, but it's the only other straight piece of tarmac available. It should keep the cars close enough together for the second original zone to have an impact though. Belgium boasts one of Formula One’s most popular corners, the steep hill of Eau Rouge, twisting left and right. Bravery and speed are required to get to the top in safety and in style. In 2011, a global audience held their breath as Mark Webber and Fernando Alonso took the hill side by side, with Webber determined not to give up the position. Full of sweeping curves, the circuit is fast and presents a real trial for drivers when it comes to G forces, but occasionally, the weather can stunt the top speeds of a race. Tucked away in the Ardennes forest, the track is so lengthy and sprawling that it can have multiple conditions ongoing. At one corner it can be dry, clear and easy, whilst at the other end of the track, it can be slippery enough to make wet tyres a consideration. Safety cars are often spotted around the track as conditions get the better of those involved. The medium tyres are back in action again this weekend, but this time out they are joined by the hard compounds - the orange sidewalls. The harder rubber will need to deal with the faster speeds around the Spa track, as well as the tricky parts of the circuit such as Eau Rouge. 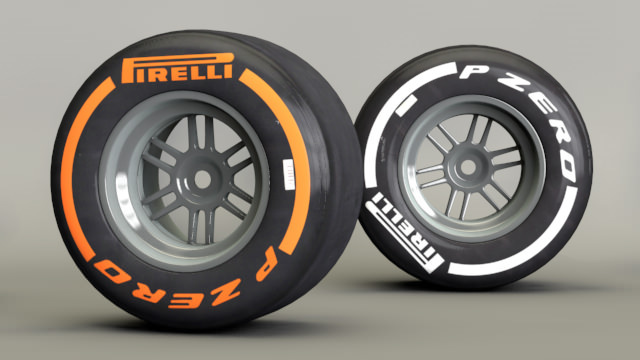 There's also a definite chance that we might see the wet tyres making an appearance as well. Looking after the tyres is very important, particularly as it’s such a long lap. This means that there are a very wide variety of possible strategies available at Spa as well, with plenty of time to be won and lost if the right tactics are chosen. However, any strategy has to be very flexible, because it’s the changing weather that often makes Spa such a fascinating race. Official press conferences are organised by the FIA and happen four times during the weekend. The qualifying and post race press conferences will take place after the television unilateral interviews. The FIA stewarding process was changed recently to include a former F1 driver to offer added insight. These are the stewards overseeing this weekend's action. Lars Österlind FIA World Council Member and Honorary President of the Swedish Automobile Sport Federation. Derek Warwick Former Formula One driver and World Sportscar champion.